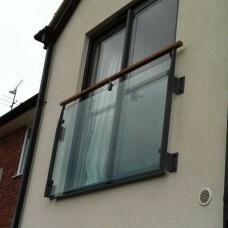 Steel, glass and wood juliet balcony balustrade- Various sizes available. 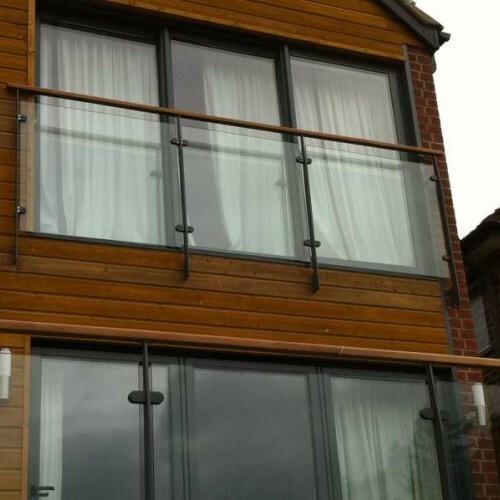 Pictured balcony is grey, as per listed colour options. 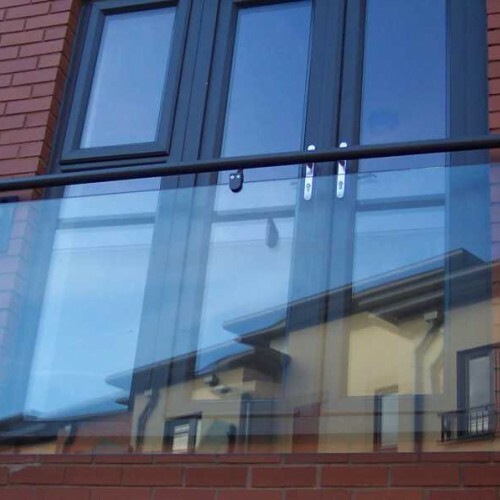 Our juliet balconies conform to all current UK building regulations for domestic applications, please specify if you intend to use on a commercial property so we can advise accordingly. 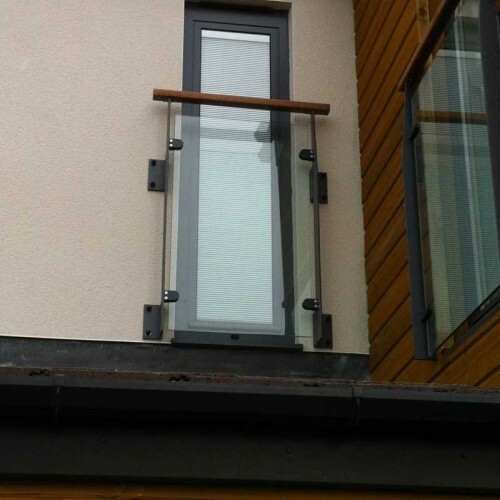 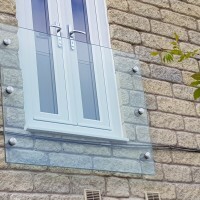 Modern and contemporary real glass juliet balcony with optional handrail. 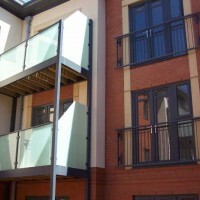 Fully legal, building r..